Looking for something a little different? 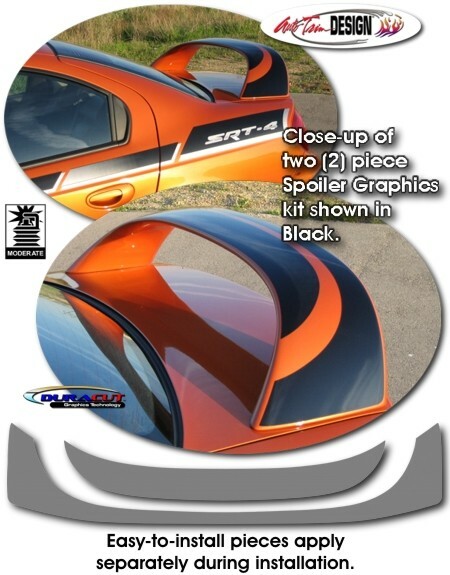 Set your SRT-4 apart with our unique two (2) piece Spoiler Graphics kit. Available in a wide variety of colors, these easy-to-install pieces are designed to fit specifically on all SRT-4 factory spoilers as shown in the image. This kit will not fit any other vehicle. Includes general online application and care instructions.